It takes courage to even try to make a difference. This goes for all aspects of life, but it particularly applies to art. 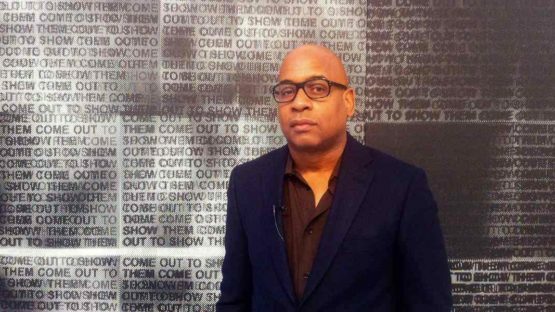 If you were to speak about making changes through art, one of the first names that would pop to mind is Glenn Ligon. This American artist is renowned for combining his formal art education with complexities of his personal history to create emotionally charged pieces that convey challenging messages and subcontexts. They are direct pieces as well – he uses letters and sentences (mostly quoted statements) to convey a message for the audiences. Glenn was born in the Bronx, NY, in 1960. Being a new edition to a working-class family, his early childhood was marked by limited home budget. However, when Ligon turned 7, his divorced parents agreed that the best course of action for him and his brother was to enlist them with the Walden School, a prestigious progressive private institution in Manhattan. Paying high scholarships was not an easy feat for Glenn’s parents to accomplish, but they admirably made it all work. Walden School provided Ligon the knowledge necessary to eventually get into the program of the Wesleyan University. He graduated with a B.A. in 1982 and got a job as a proofreader for a law firm. In the meantime, Glenn made a hobby for himself out of painting in an abstract expressionistic style, similar to that of Willem de Kooning and Jackson Pollock. This way of spending spare time was a positive filter for Glenn as it allowed him to be himself without any sort of boundaries of the outside world and its stresses. What started as a relaxation therapy eventually turned into something much more important as Glenn started participating in the Whitney Museum of American Art’s Independent Study Program during the year of 1985. At that moment it seems as Ligon dedicated himself fully to the artistic side of his personality – it took him only four years to establish a name and hold his first solo exhibition in Brooklyn, named as How It Feels to Be Colored Me. And, surprisingly, it didn’t look anything like Pollock or de Kooning. Actually, it was unlike anything before him. The Brooklyn show in 1989 established Glenn’s reputation for creating large, text-based paintings. Ligon’s work at the time was greatly influenced by his experiences as an African American and a gay man living in the United States. Have in mind that Glenn did not grow into a man during the relatively liberal 21st century – he faced early life during the turbulent ’80, the defining years both for the colored and homosexual people of the US. These circumstances had a toll on Gleen’s artwork which is very easy to notice. His takes on the topics of slavery, civil rights and sexual politics are what drives his art from inside out. The Glenn’s trademark is the incorporation of literary fragments and jokes from many authors. These quotes are directly stenciled onto the canvas by hand and often are repeated many times on one single piece. This way it seems as the same statement was repeated so many times it lost it’s meaning in the process. Glenn usually quotes big figures of history – including the writings and speech of Jean Genet, Zora Neale Hurston, Ralph Ellison, James Baldwin, Gertrude Stein, Walt Whitman, Richard Pryor, etc. 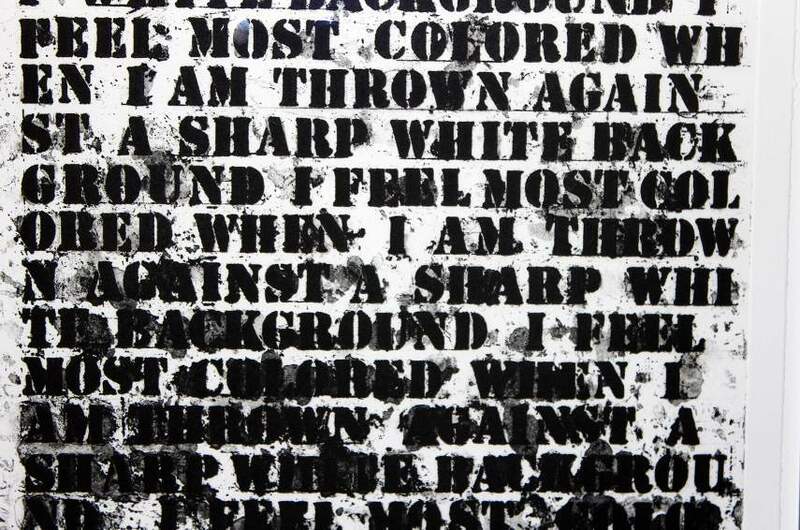 Glenn Ligon can be perceived as a conceptual artist. Throughout his long creative career, he tackled many obstacles in life – many of which all of us face during our lifetimes: race, language, desire, sexuality. Ligon’s method demands that he engages in intertextuality with other works from the visual arts and literature, but with his own life experience as well. Besides painting, he also practices neon, photography, sculpture, print, installation etc. All in all, Ligon’s art goes by the saying: the end justifies the means. The concept is what’s important, not the way you make a point. Ligon’s art is represented in many public and private collections around the world. His work can be found in The Museum of Contemporary Art in Chicago,The Museum of Modern Art in New York, in The Philadelphia Museum of Art, The Guggenheim Museum in New York, The Tate Modern in London, etc. The list can go on for quite some time. Such wide recognitions are not common for contemporary artists, especially not the living ones. Ligon was also granted numerous awards for his work and it’s influences. 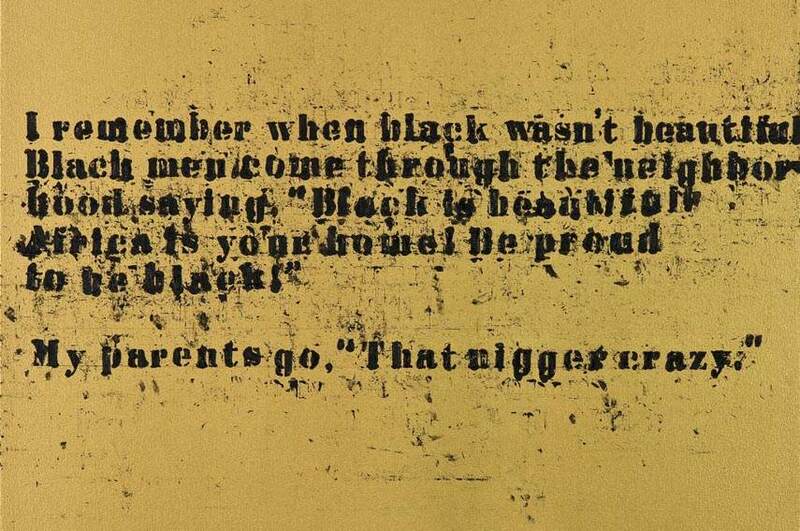 An interesting fact – in 2009 President of the United States, Barack Obama, added Ligon’s piece Black Like Me No. 2 to the White House collection on a loan deal. It was installed in the President’s private living quarters. 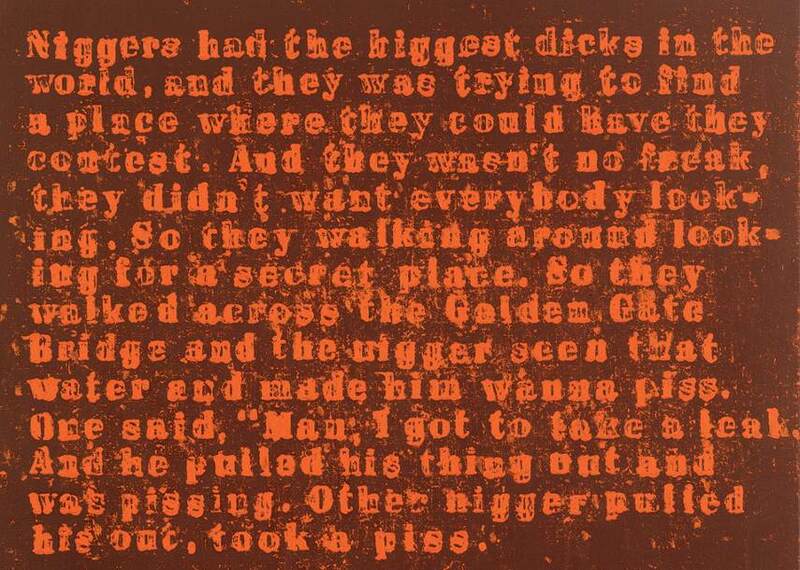 The text on this particular piece is from the 1961 memoir written by John Howard Griffin on the account of his experiences while traveling the South with his skin artificially darkened. This led to many newspaper headlines that stated Ligon is Obama’s favorite artist. Is Glenn The Right Artist For You? Ligon’s paintings and installations deal with social identity and equality. These topics are always touchy subjects, especially when they are displayed in a way Glenn shows them. In his pieces, the accent is put on the statements – Ligon transforms his compositions using texts he quotes. His art is layered with meaning and is difficult to read, which are features also shared with his subject matters. If you’re looking for subtleness and casualness, Ligon is not an artist for you. His style is full of anger, despite its obvious objectiveness. Glenn shows us that although we pride ourselves as being cultured and civilized, there is much more work ahead of us. An important lesson for all of humanity. The artist is represented by POP FINE ART Los Angeles in California (United States). 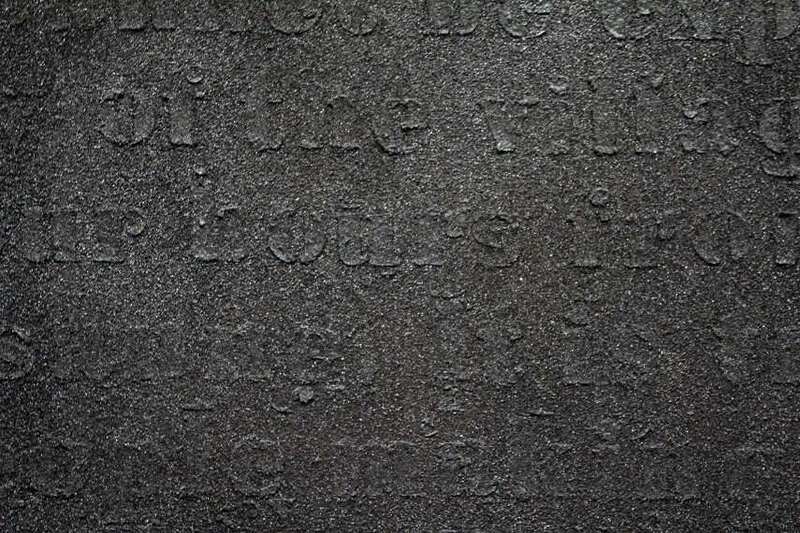 Glenn Ligon lives and works in New York (USA).